Through the teachings of the Stellar Nations, we learn that the Creator God and the Goddess originally initiated and entitled two warrior nations on the stage of our galaxy. 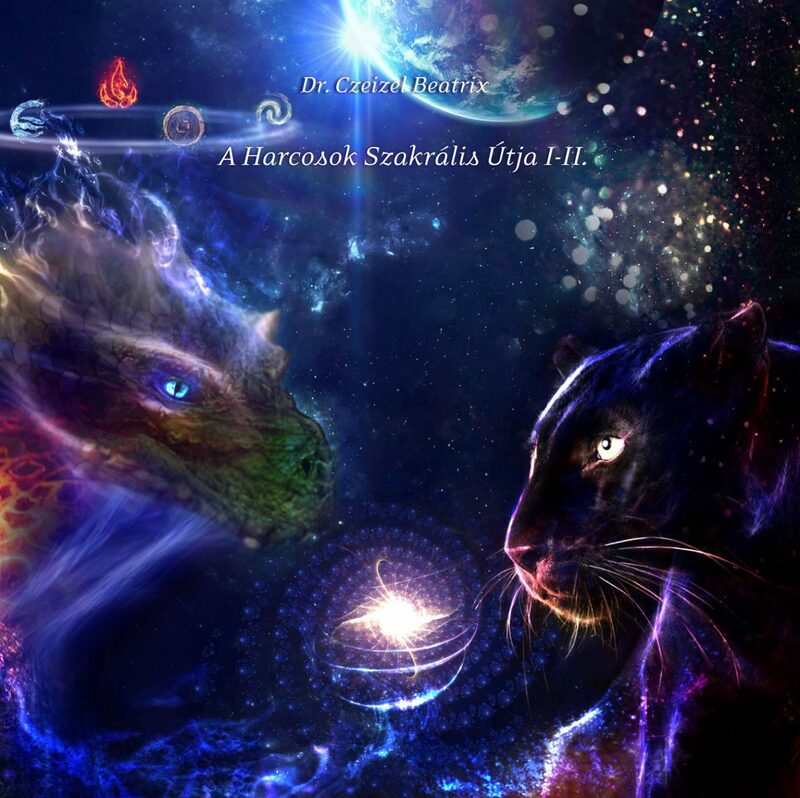 These are the communities of the Dragon Warriors and the Great Felines. Each Nation was given a specific charge and mission that was conceived and is held in the stars. This guided meditation consists of two parts, taking us through the bridge of a sacral pathway that presents the warriors’ sacred initiation. This allows us to attune to the original and pure mission codes of the Warrior as intended by the Creator. The Warrior Nations were created to protect the correct use of Power. Nowadays we equate being a Warrior with Power itself but that is not the true role of a Warrior. The Dragons were originally commissioned as the keepers of Divine Will, Order and Law. To fulfill their mission, they were charged with the right to use and to sustain the balance of primordial forces and elements (Earth, Air, Fire, Water). They were meant to wisely use the elements as tools to protect the Ruler who executed the right use of Power. They were not meant to use the elements as tools of Power over their dominion but that temptation did eventually corrupt a large part of the Nation. The Great Felines were originally commissioned as the protectors of freedom and free will in the galactic and earthly realms. This more yin feminine Nation was diminished and largely chased out of our galaxy as the Dragon and other several other Nations sought to claim Power and ruler-ship that was not meant to be theirs. Later, as revealed in our book Calling You, there was another community born and blessed with warrior codes – the messengers of the destiny pathway of Jerome – who became the warriors and protective knights of the Holy Grail. This pathway provides an evolved mission and another place for Dragons who feel called to maintain the purity of the charge originally given to them by the Creator. People who have recognized themselves in these pathways while reading our books, and who may see confirmation of their Warrior stellar roots reflected in their Antares Codes, will probably feel it very important to travel through this powerful and wonderful initiation pathway so that the original teachings of God and the Goddess may be purified within them. This meditation will help them gain new meaning in this current lifetime so that as the warriors of Light they can do whatever their mission demands of them, not by weapons and war but with the energies of the heart and the spirit and the qualities of the sanctified powers. During these meditations, Master forces line up who can transmit the highest vibrational and purest qualities to enable the listener to re-align with the original codes again and to become the healers and teachers of the warriors of Light. Additionally, it is also possible that these two meditations will be important to those people who feel powerless and defenseless during the battles and trials of everyday life. Those who feel as if the fire, strength, impulse or self-defensive power has been lost or injured in them so that they are incapable of resisting emotional and physical abuse can also benefit. Or if one is unable to fight for their own dreams, freedom, free choice and just cannot stand up for themselves, this meditation will be helpful. These meditations are more dynamic compared to our releases on other topics and thus they can even be experienced in the form of a free sacral dance so that the initiation should not only happen in the spheres of the spirit but also on the level of our body. So we are suggesting that you be open to play these tracks and let your body respond to the guidance with movement! We would like to emphasize that we ask you to order this meditation only if you have already read our books Stellar Nations – Soul Families, because only then can you fully understand all the messages and codes of this meditative pathway. Like all our meditations, this inner journey carries a very serious teaching hidden behind the words, which can give explanations to many emerging questions about the subject. While this is only offered in Hungarian at this time, the meditation can be apprehended and used by your soul. In some ways this bypassing of the mind might even enhance the potency of the guidance.